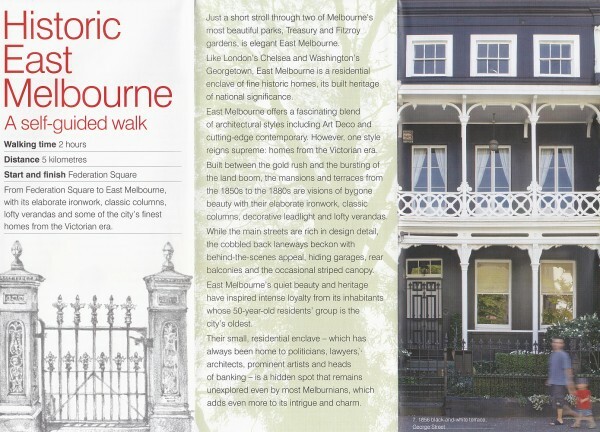 Brochure setting out a self-guided walk around the streets of East Melbourne. 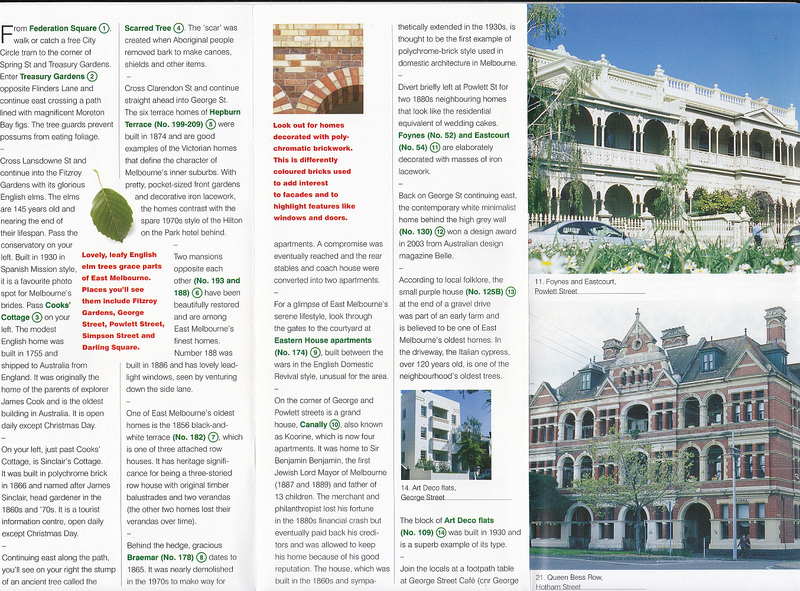 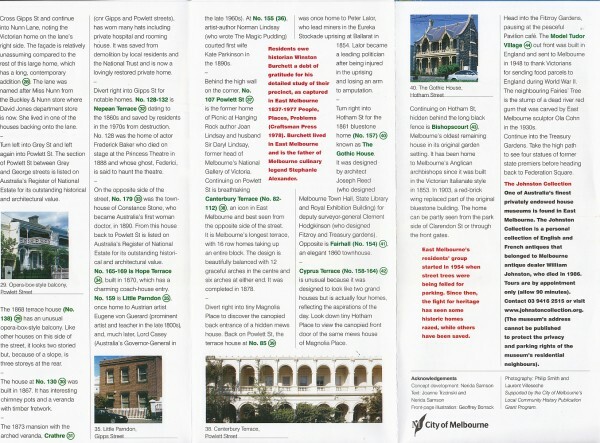 It was created by Nerida Samson, a long time resident of East Melbourne, and published by the City of Melbourne for distribution through its tourist information channels. 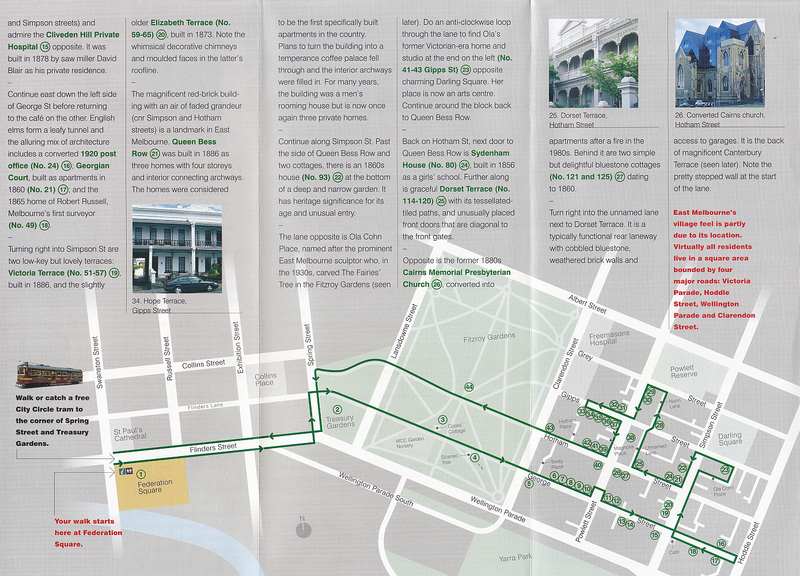 It is a two-sided A3 sheet folded map-like to a DL size.